It costs you nothing to donate to the good work of the James Family Prescott YMCA. Donate now to the Prescott Sunrise Lions Club and you can designate 100% of your gift to the James Family Prescott YMCA and reduce your state tax bill! A tax credit reduces your final tax liability. Your donation comes right off the top of your state tax bill, reducing the amount of money you owe. When using your Arizona tax credit, it costs you nothing to donate to the good work of the James Family Prescott YMCA. Write your donation check of up to $800 ($400 if single/head of household) payable to the Prescott Sunrise Lions Club. Complete the Lions Club form designating 100% of your gift to the James Family Prescott YMCA Scholarships for Kids. Complete AZ Tax Form 321. 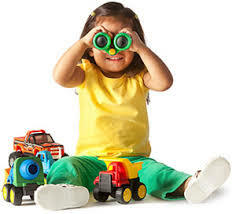 You can participate in this Tax Credit AND school tax credits. Make your gift by April 15, 2019 to claim credit on your 2018 Arizona income tax. 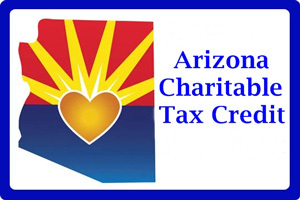 The Arizona Charitable Tax Credit allows you to receive a dollar-for-dollar tax credit, up to $400 (single/head of household) and $800 (married filing jointly) on your Arizona state income tax when you make a donation to the Prescott Sunrise Lions Club and direct your gift to the James Family Prescott YMCA Scholarships for Kids. Complete AZ Tax Form 321 when filing your AZ tax return. Can I Still Give to my Child's School? Important Note: The Prescott Sunrise Lions Club and the James Family Prescott YMCA are not tax advisors. Contact a qualified tax professional for expert advice on your specific tax situation. For more information on this tax credit (ARS 43-1088), please contact the AZ Department of Revenue at 602-255-3381 or visit their website.